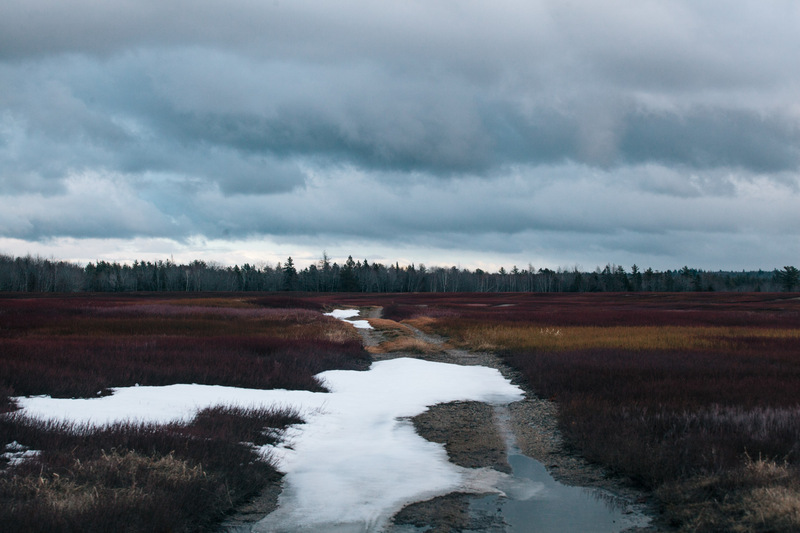 Blueberry fields lay dormant in Washington County, Maine on Thursday, Dec. 11, 2014. Christmas wreath making is a big business in Maine, leading landowners and forest rangers to be vigilant against illegal "tree-tippers", or people who steal balsam fir tree branches and sell them to wreath makers. Legal "tippers" get permits from landowners to harvest trees and follow certain procedures to ensure the health of the trees, while illegal "tipping" often damages or kills the trees and infringes on the business of the law abiding "tippers".